and Jon’s blog gives me the framework to make my own observations as somebody who was there at the start of RSD and knows more than most about how it has developed to the point we have reached today. So here we go ! First of all nothing but respect that Jon took the time out from running one of the busiest shops in the UK to say his piece. Like Jon I certainly didn’t take any of the labels’ comments as being against record shops. That RSD affects small labels adversely is of course true but so is the fact that RSD is about independent record stores and nobody else. Finally though we start to differ. Reducing the number of releases is easy if the rule I remember is simply applied. Does the release have a fair chance of selling the minimum 500 copies required in shops without the need to resort to online sales ? As is regularly pointed out that is only a little more than 2 per shop. Are multiple releases from one band reasonable ? Of course not. Is 20+ releases from one small label cashing in on RSD ? Of course it is. If Spencer Hickman is indeed still in charge of such matters then again I disagree with Jon’s assessment. However with regard to ERA and Kim Bayley I must agree that that the effort they put in is way more than could be justified by size of membership. On another matter I did once suggest that labels and bands should be able to demonstrate a support for independent record shops all year and not just RSD. The reply quickly came back that would leave a very small list indeed ! As far as I’m concerned whether RSD helped the resurgence of vinyl is debatable. RSD very quickly became a collectors’ day while the resurgence such as it is is about something else. That for many RSD is bigger than Christmas should be viewed as a massive problem except when it comes to the bank balance. And this brings us to the nub of the problem. The original ideals of Record Store Day were based around getting people back into shops liking what they saw and coming back. Releases were just a part of that. 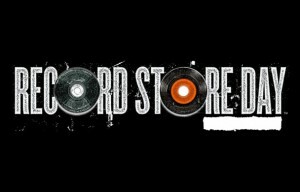 At the core of RSD now is the principle repeated to me many times that it is about rewarding shops that support record companies and labels all year. As such this is something I agree with but it causes a massive problem. First of all it hands over control to the labels and again I’ve been told many times RSD is now really run by the labels to the point when it was suggested that maybe RSD might take a year out many labels deemed it unacceptable. Even more importantly it only increases the gulf that exists between shops and how they are faring with London/southern shops in particular being rewarded for doing well with large quantities of a release while shops doing their best away from the capital receive small quantities. At worst and this is a regular occurrence titles that some shops ran out of early on RSD are being put up on sale online a week later by other shops. I should say I’ve no query over how Avalanche has been treated over the years but it is time to admit that Record Store Day as it was founded is dead. The idea of releases only on sale in shops and of a quality that they were sure to sell out but not too quickly has long gone. Many shops would admit they will be lucky to see most of their RSD customers back until the following RSD and of course straight after RSD things will return back to normal with most labels and bands doing their best to sell directly to fans. As for the mayhem a week after RSD when the stock goes online the clue is in the name unless they want to rename it Record Stores Online Day. I don’t think it is right to say the majors have taken it over. Some big and small indie labels alike also see it as an opportunity to “cash in” and while nowhere near all the stock will be sold they will then be able to sell it themselves while shops are stuck with stock on firm sale. So Record Store Day is dead. Long live Rewarding Busy Record Stores Day. Sadly RSD has alway been an exercise in unfairness. It’s completely set up for greedy labels and even greedier scalpers who don’t even want the records in the first place. I love vinyl, always have done, but where is the incentive for me to go to a record store, queue for a couple of hours only to find the records I want have been sold before I get in the shop? How is that going to make me and many others bother going? There are about 10 records I would dearly love to get. Probably two I am desperate to get, but chances of getting them are zero unless I buy them in eBay at a vastly inflated price. So RSD has been dead for years. I want to support record stores, but RSD is nothing more than a depressing realisation that as a music fan, I am being denied music by some if my favourite bands in my preferred format. I don’t even live in Edinburgh, so I have to travel in at a stupid time to join the madness. I am not sure what the answer is, but something needs to be done so that people like me can get a chance to find the records we dearly want.